America’s second largest solar association says it’s adapting to the changing market to serve both solar – and storage – members of its ever-growing state industry. 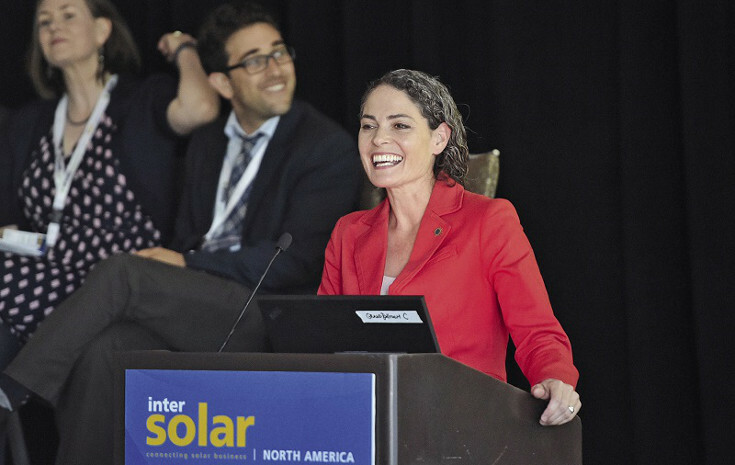 Seeing the direction the industry is moving, Bernadette Del Chiaro will now lead the California Solar and Storage Association, replacing CALSEIA with a new name and focus. For more than 40 years, the California Solar Energy Industries Association (CALSEIA) has set high standards for service to its members, becoming the second-largest solar association in the country through its innovative and forward-thinking initiatives. And starting today, its latest innovation could have far-reaching effects for the way others in the country think about the solar industry – or, rather, the solar and storage industry. CALSEIA has announced it is changing its name, starting today, to the California Solar and Storage Association (CALSSA), a move that recognizes solar’s central role in the future of the U.S. electricity generation mix while acknowledging its next evolution is inextricably intertwined with the increased use of energy storage. Though during its early years CALSEIA was a formally affiliated state-level chapter of the national Solar Energy Industries Association, the organization has largely charted its own course 2011. Bernadette Del Chiaro, executive director of the newly-renamed CALSSA, says the organization, despite their increasingly diverging missions, will continue to work with the national association on state issues.